The Brown Playwrights Rep offers playwrights a unique opportunity to perfect their work in the rehearsal room and on the stage. Now in its 10th year, the Playwright’s Rep has allowed three playwrights to explore their work’s potential. A playwright brings an unfinished piece of work and is able to watch it come to life with a cast and make changes collaboratively throughout the rehearsal process. 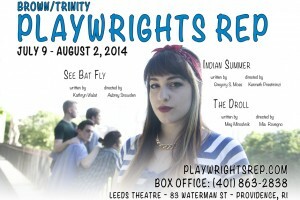 See Bat Fly, Indian Summer, and The Droll have each gone before an audience at the Leed’s Theater so that the playwright may continue to prepare the piece for an eventual premiere. For Moss, the Brown Playwrights Rep is the perfect place for his newest piece of work to develop. Indian Summer is a love story that takes place in Rhode Island. “I wrote it a little for this venue — its about the local culture of Rhode Island,” he expressed. This is Moss’ second time bringing a piece of work to the Rep. He went onto explain that because of his presence in the rehearsal room, “The work being done here is something [playwrights] can’t get elsewhere.” He explains that this is at the root of the Playwrights Rep. “What does this script bring out in us that we can show Greg? What can we bring out in the script that he can’t see?” Prestininzi described. The format of the Rep allows the playwrights to take risks they may not have otherwise taken. 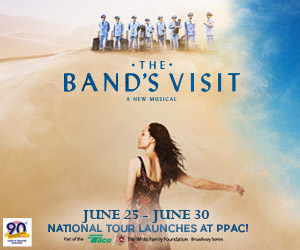 Rather than writing a play and imagining an audience for two years, the playwright can write at his or her whim, knowing that their work will be seen in front of six different audiences. Playwrights come to the Rep with specific goals for their play. As someone who had been through the process before, Moss knew that he could achieve the goals he had for his play in a safe environment.The play was originally 250 pages, but has been shortened significantly because by seeing his piece come to life in the rehearsal room, Moss was able to determine which parts weren’t necessary to the story. “You figure out what you can lose, things that are implied, things that actors can do without language and then also where you need to put in more information,” Moss explained. The process is equally invigorating for the actors as it is for the playwright. The cast of each work is able to watch their characters evolve during the entire process. Playwrights Rep uses a wide variety of actors, including the Brown Trinity MFA, local Providence actors, retired professors returning to the stage as well as recent Brown graduates. See each piece in its seventh performance and final form August 2 at the Leeds Theatre. 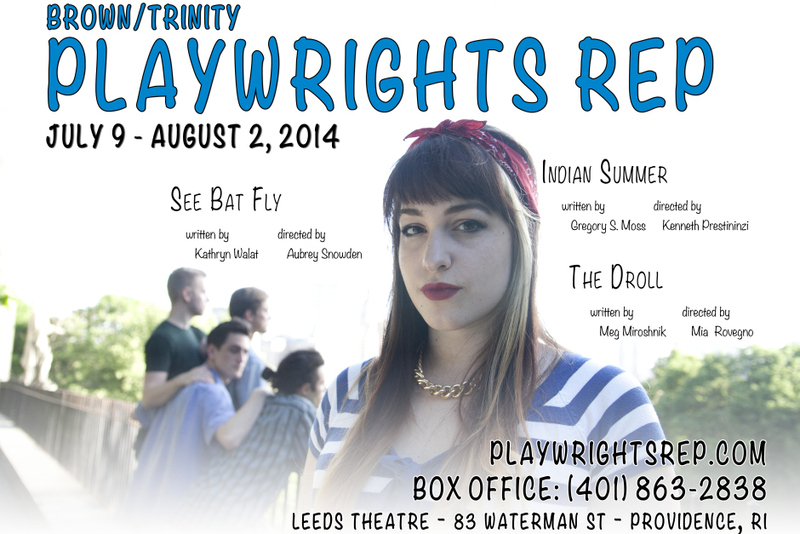 See Bat Fly, Indian Summer, and The Droll will be marathoned to close out the Playwrights Rep. The marathon audience will be the final piece of the editing process and tickets are on sale now.